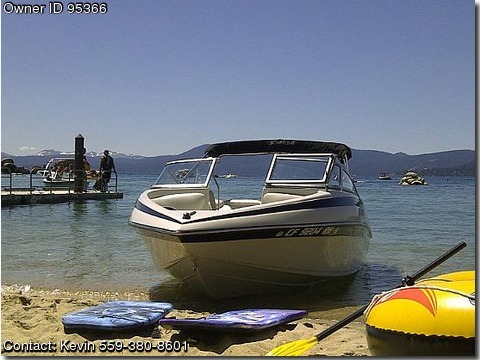 Call Boat Owner Kevin 559-380-8601. Basic Decription: I am selling with lot of ski equipment two wakebaords, one slalom ski, one pair skis, ropes, tube,lifeski jackets, cover. There are 7 ski jackets, 4 life preservers, and two props. The boat only has 120 hours on it!